We live in a fast-paced world, filled with technology that consumes us and projects that drive us. Our desire to get the most out of every day pushes us to compromise on a very important aspect of health—sleep. Thinking you can get by on a few hours of sleep, you push ahead and grab the coffee or energy drink to prop yourself up. It becomes such an ingrained pattern, you fool yourself into thinking you can do this. Who needs sleep? Sleep deprivation increases stress hormones, which result in fewer new brain cells. Contributes to hunger, which can result in over eating and gaining weight. Leads to premature aging due to interference of growth hormone production released by the pituitary gland during deep sleep. Increases your risk of dying from any cause. Stop!!! Adequate sleep is part of a healthy lifestyle. If you don't get enough, you set yourself up for an unhealthy future. Slow down the rat race and get the right amount of sleep. Adults need from 7 to 9 hours of sleep a night, 8.5 being the average. Those times can vary throughout your life. Pay attention to your body and you will learn what your sleep need is. Keep in mind that catching up on sleep on the weekends does not make up for loss of sleep. It does not work. 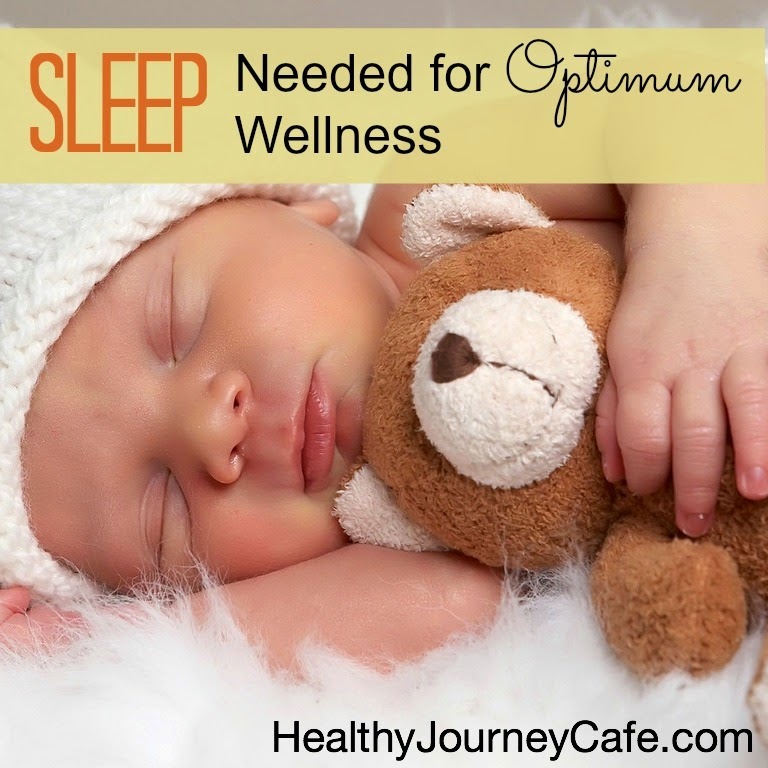 More important that you develop, consistent healthy sleep patterns for every day of the week. Also keep in mind that you need consistently uninterrupted sleep. I wear a good ear plug every night to avoid getting awakened by my husband's occasional snoring. I recommend Mack's earplugs. They create a barrier and do not pop out in the middle of the night if you change position. I also sometimes take a Kavanace—an all natural sleep aid, which helps to quiet the busy brain, which starts to work if you find yourself awake at night. I need closer to 9 hours of sleep a night. I clearly suffer when I don't get it. My brain is not as sharp and my physical body starts dragging in the afternoon. If you're skimping on sleep... think again. A word about cheating. If you think you can pop a melatonin pill and all will be well. Studies are inconclusive. Get into a healthy sleep habit by minimizing your exposure to light at night and plan for 8.5 hours of sleep. You will be amazed at how you feel once you get enough sleep. Women (and men) with hormone issues (prostate, menopause, infertility), what are your sleep patterns like? What about pain? Trouble shaking off pain? Been diagnosed with Fibromyalgia?